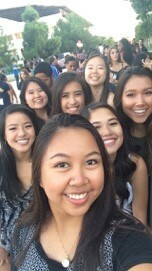 At UCI, CHP stands for Campuswide Honors Program, but to me CHP is a Community that is High-Reaching and Passionate. The CHP is a true community! I have met my closest friends through the program. Since we are all in CHP, we take the same honors classes so we get to see each other almost every day. We study together, sometimes stretching into the night. After those late-night study sessions, we go to Seaside Donuts (a 24-hour bakery on the Newport Beach pier) for donuts as a reward. To get our weekly Friday donut fix, we go to Coffee Hour in the Locus, the honors study lounge, and celebrate finishing up another week. Through the honors program, I have become part of a network of students and faculty who are extremely ambitious. 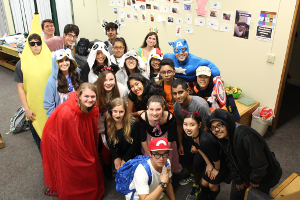 Many CHP students are double majoring, juggling memberships in various clubs, and maintaining an active social life. Knowing that they succeed in so many things has encouraged me to widen my activities on campus. Whenever I have questions about courses or how to succeed at balancing everything, my peers—in addition to the honors advising staff—are readily available and happy to help, directing me to resources in CHP and around campus. 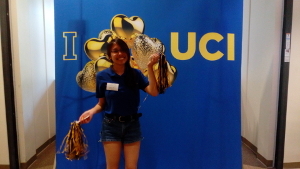 I now am a part of the greater UCI network, volunteering as a peer health educator and working as a social media intern for the Office of Academic Planning. CHP students aim high, and they are supportive of each other in reaching their goals. Being surrounded by these amazing individuals has inspired me to always try my best to be exceptional in every aspect of life. In addition to all of our commitments and classes, CHP students are passionate about giving back to the community, volunteering on and off campus. 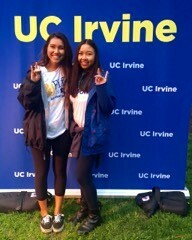 Last year, my friend Meliss a and I volunteered at the Fifty for Fifty event at the CHP booth at UCI Homecoming, an event for UCI alumni and their families. We made peanut butter and jelly sandwiches that were donated to a local homeless shelter. Doing charity work is one of my passions and coming together with the larger UCI community to achieve an altruistic goal is one of the few joys in life that are free. Something as small as making sandwiches can make both the giver and the receiver feel valued. All of these aspects of CHP have provided a framework for me to succeed in many different ways in just my first year at UCI. 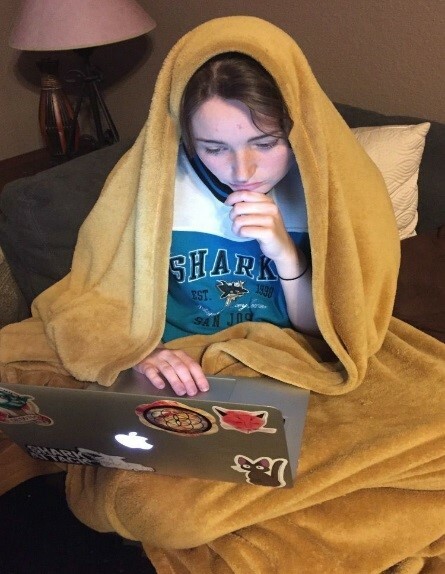 Now, as a sophomore, I find that my college experience has continued to be more and more valuable and fun. I have made friends that I will have for the rest of my life, and I have been able to take advantage of many opportunities to learn and grow. I definitely believe that I am making the most of my college career as a CHP student.